You've reached the page of comedian Kwasi Mensah. Find out when he's performing, laugh at some silly jokes, or read his comedy blog to participate in his navel gazing. You can also get up to the minute musings by following him on twitter. Kwasi bridges the gap between insightful observations about race and still thinking he could be a Power Ranger when he was 15. He's opened for SNL's Sasheer Zamata, Aparna Nancherla, and W. Kamau Bell. He also co-produces Laughing Liberally Boston, a show that combines comedy with progressive politics. 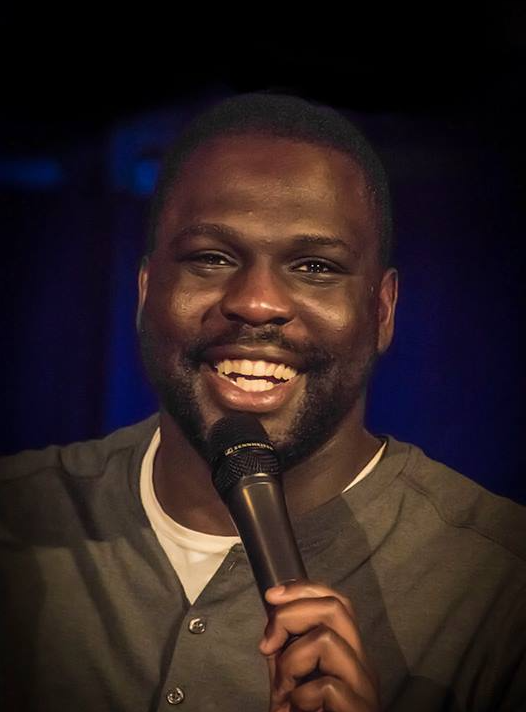 He's been featured in SF Sketchfest, the Boston Comedy Festival, The Comedy Exposition in Chicago, and just recorded his first hour of stand up titled "Not From Around Here".